Leap years are a considered a bonus for finance ministers around the world as the extra day boosts their nation’s annual output by a sliver and so flatters their record. 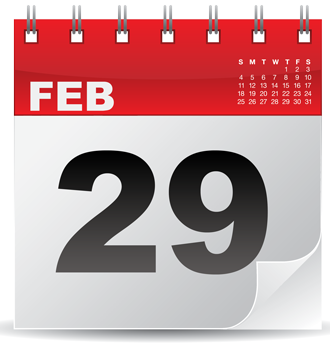 Leap day is an artifact that dates back to the year 46 B.C. Back then, Julius Caesar took the advice of the learned astronomer Sosigenes of Alexandria, who knew from Egyptian experience that the tropical year (also known as the solar year) was about 365.25 days in length. So to account for that residual quarter of a day, an extra day (a leap day) was added to the calendar every four years. If you would like to make great use of this year’s leap day, why not call us to make an appointment to review your personal finances, or make to establish the right pension strategy for 2016 and beyond? Please call us 0800 731 7614 or e-mail enquiries@fpgonline.co.uk.